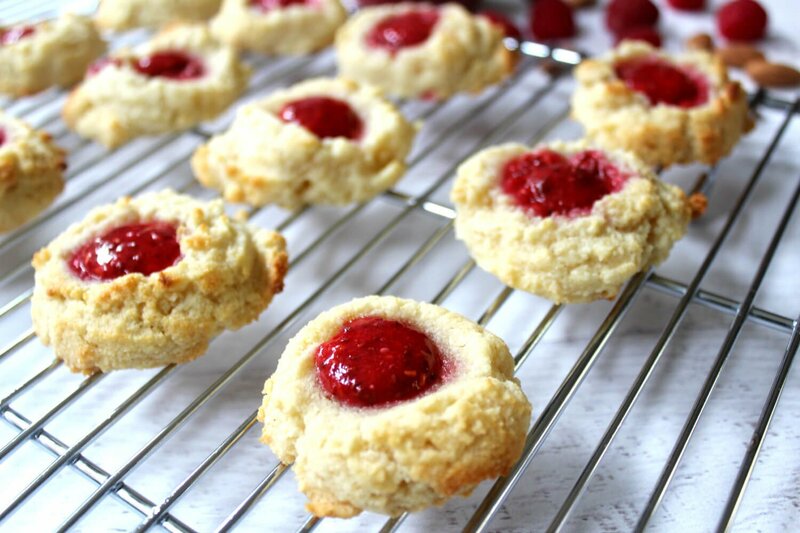 With jewel-jam centers and a tender almond flour shortbread cookie, these bright thumbprint cookies are sure to be a hit. The jam can be made with any berry, but we like raspberry for its bright red color and sweet flavor. 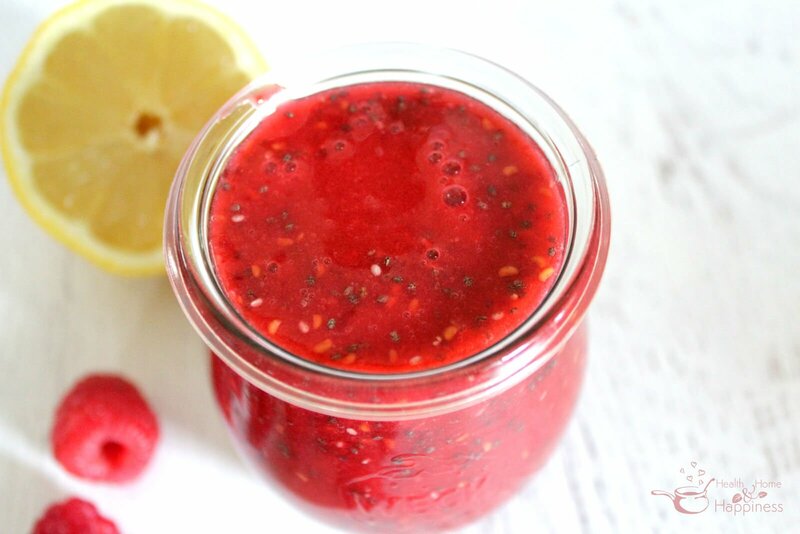 You can whip up a batch of raw honey-sweetened raspberry chia jam in just 5 minutes with this recipe here. The almond flour based shortbread cookies are fast to make, with just a few simple ingredients that are available in most health food stores. They’re sure to disappear in a flash, but if you happen to have leftovers, keep covered in the refrigerator for up to 1 week. Delicious little shortbread cookies topped with bright jam thumbprints. Prepare cookie sheet by lining with parchment paper. Melt coconut oil in a large mixing bowl, and allow to cool until no longer hot. Mix the coconut oil, almond flour, coconut flour, honey, sea salt, and egg with a fork or hand-held mixer, until all coconut oil clumps have broken up and mixture is mixed through. Form into 1-inch balls using a cookie scoop, or scooping a tablespoon of dough at a time and rolling by hand. Place balls 2 inches apart on prepared baking sheet (most cookie sheets will hold 12). Using your thumb or index finger, make an indention in each cookie top, flattening the cookie slightly. Use a small spoon to fill indentations with jam, being careful to not overfill. Bake for 10 minutes, or until the bottom of the cookies starts to turn golden brown. Remove from oven and allow to cool for 5 minutes on cookie sheet. Remove to cooling rack and enjoy! Keep leftovers covered in the fridge for up to 7 days. Sorry I know this is a dumb question but…do I scoop out 7 tablespoons of solid coconut oil & heat up & use all of that …or am I using 7 tablespoons of liquid already melted coconut oil? 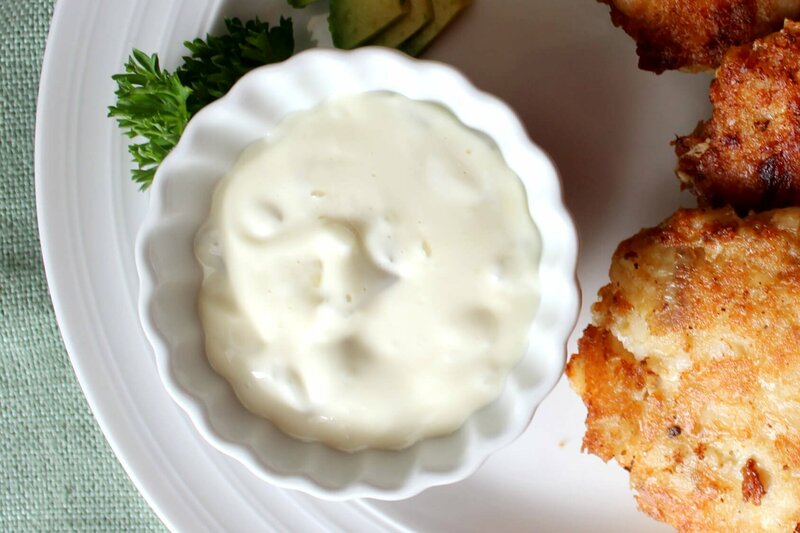 Have you attempted these with a flax egg?